Albania is a not a famous country in Europe despite its rich history and cultural heritage. Also known as "the land of eagles" or "the bridge linking the east with the west", Albania has played an important part in the history and culture of Europe. In 1992 this country came out of a long communist dictatorship and began its path to democratization. Tourism, which during the communist era was considered as "a problem of society", is developing today, becoming one of the main branches of the Albanian economy. In this context there was needed to inform and educate the public for the advantages and the disadvantages of tourism. 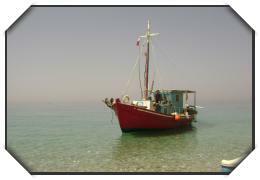 ECOTOUR ALBANIA is an actor that promotes the development of ecotourism; responsible and sustainable types of tourisms. ECOTOUR ALBANIA is composed by a professional team, lovers of nature and of their country. The common goal for the development of ecotourism in Albania has made possible the creation of a network of associates, as professionals in the field of tourism, local guides, inhabitants, local government representatives and national and international NGOs. -To contribute to the development of rural and mountainous areas, but always respecting the nature. -To discover protected natural places and at the same time providing you a welcoming and a comfortable accommodation. Through a spirit of sustainable development, responsibility and justice, we want to share with you the passion for travel and nature. Through direct contact with residents of various areas of the country, you will know better the spirit and traditions of the Albanians. Culinary diversity and difference between the regions of Albania will meet with the best knowledge of the context of this wonderful country. © Ecotour Albania - Discover Authentic Albania.